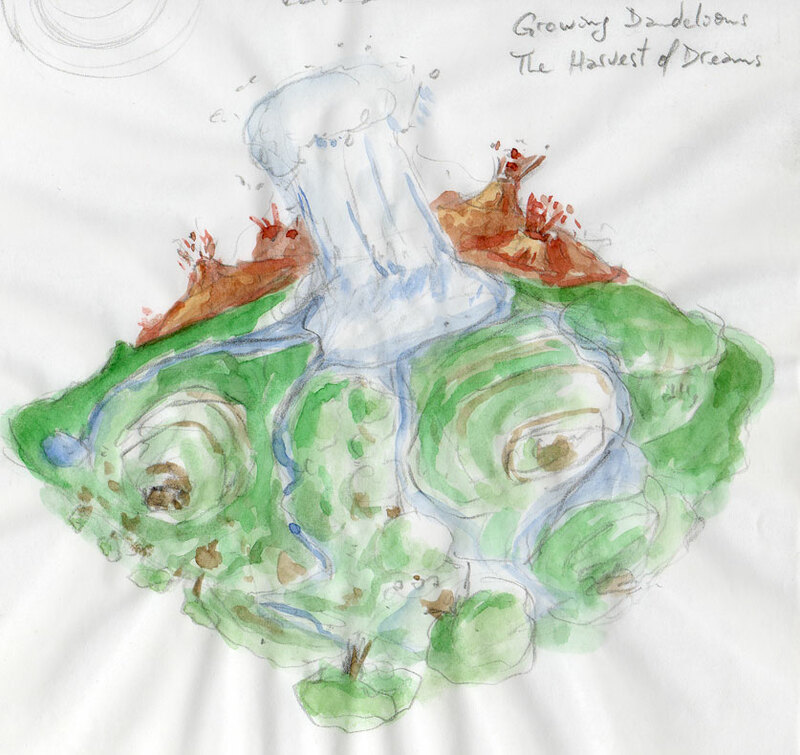 “Dandelions” is an idea based on “Her Lion’s Jump” that I decided to develop since my friend and music composer Richie Kohan asked me whether I would continue to do more fantasy based stories. My first response was actually “no” since I’m not really interested in having more talking animals in my stories, but the characters in “Her Lion’s Jump” seem to really resonate with people, and all the works that influenced me during the pre-production of the film gave me a wealth of ideas and feelings about childhood feelings and dreams that I decided were worthy of development to say the least. Now the approach I am taking to “Hockey, Love, & Guts” is very much character and script based, letting the art and the story and the script work simultaneously during development. 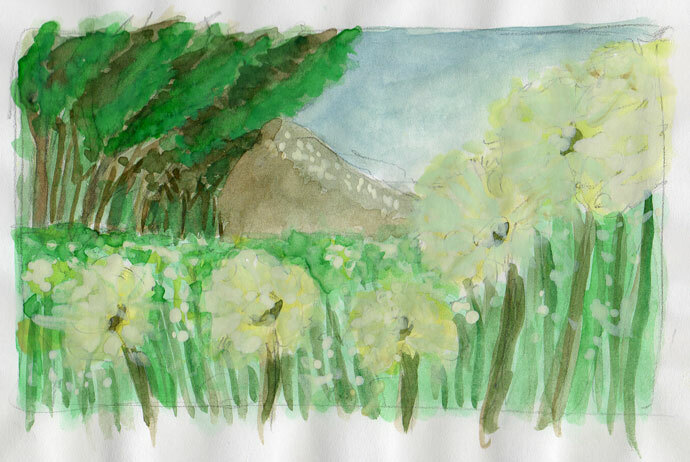 So, for “Dandelions” I decided to take a purely visual development approach to the idea (even though I already wrote an extensive outline for turning it into a feature film or short series) and to explore it with watercolors. For one, I really miss the medium without ever fully delving myself into it, but having had some experience with acrylic paints and digital media I really wanted to learn more about watercolors because of all the paint media out there, it somehow resonates incredibly deeply with me. Either way, I’m also trying to take a more environment design approach before developing more characters for it, though my natural inclination is to really compose characters, and I already have a few more than the ones featured on the short. 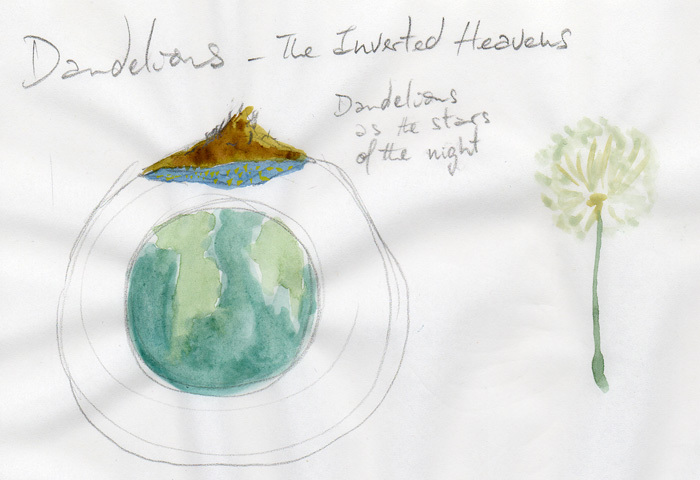 Without getting too specific, “Dandelions” is based on the idea that there is a heaven of dreams and nightmares that orbits the Earth, but is invisible to us. 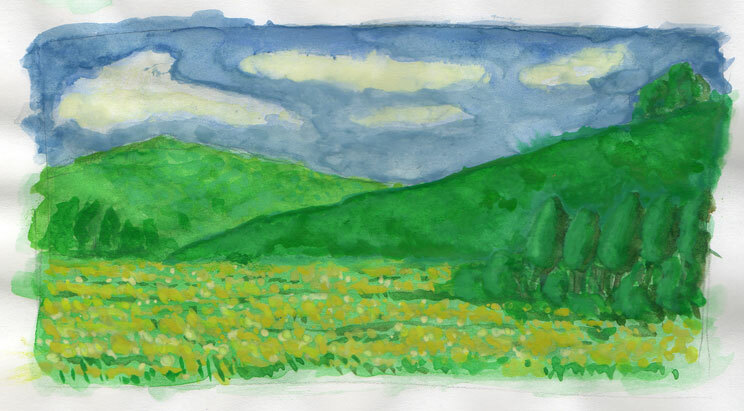 One side is made up of pastures and greenery where dandelions are cultivated containing our dreams. 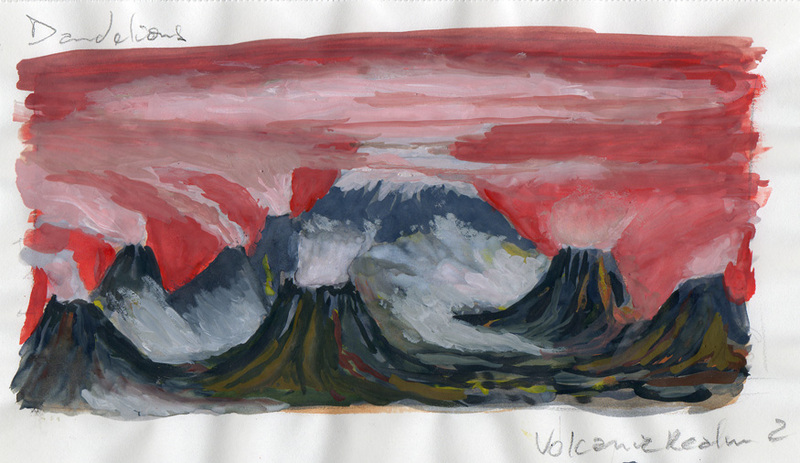 The other is a volcanic landscape where the nightmares reside and erupt from a myriad of volcanoes, hence creating a balance to this heaven. But due to incidents that I won’t get to now, the heaven is turned upside down, and the dandelions fall to the Earth, giving some children a key to this realm. 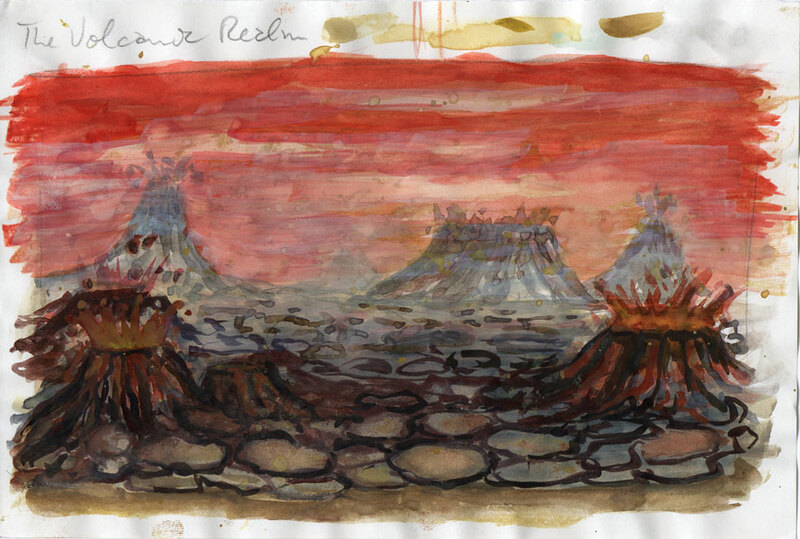 For now that’s all I’m gonna say about it, but you can look forward to more watercolor landscapes in future posts and hopefully figure out more about this story. PS: up next… expect some posts about my influences and why they continue to influence me so much.